Sometimes blogging can be the most rewarding job on the planet and sometimes it can be the most challenging job on the planet. Today was one of those challenging days. I prepared this amazing dish and I had to spend countless minutes taking photographs of it. There was absolutely no partaking until the mission was accomplished. There was not one minute to spare sampling what was left in the kitchen. 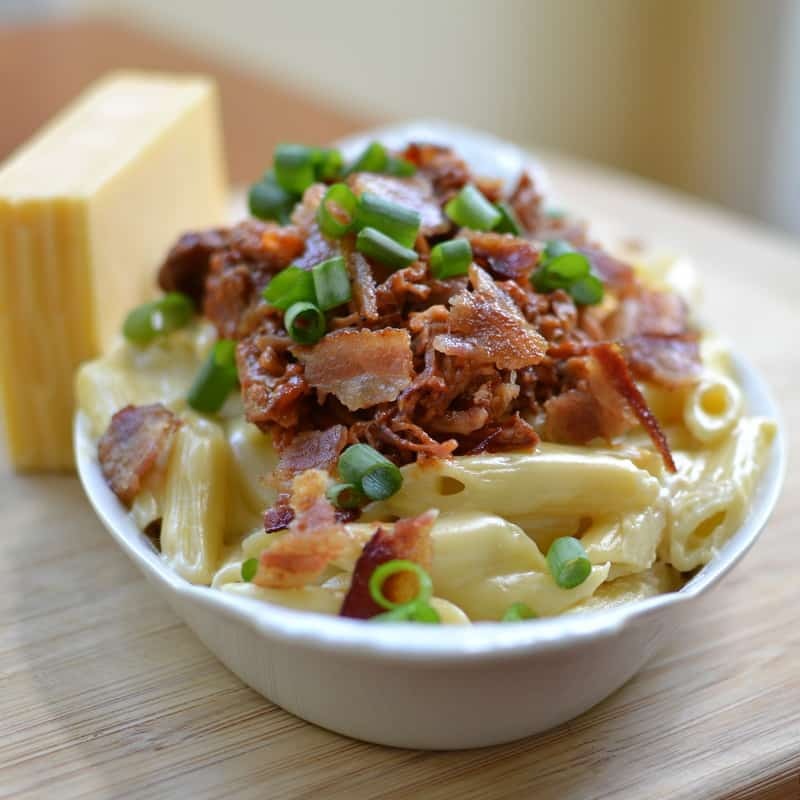 When photographing dishes like Barbecue Pork Topped Gouda Mac N Cheese every minute the dish gets cooler is a chance that you will not get the fabulous pictures that you want. Let me tell you that part of my job is pure torture. Don’t believe me? You try it and see how well you hold out. Have you tried any of my other pasta recipes? 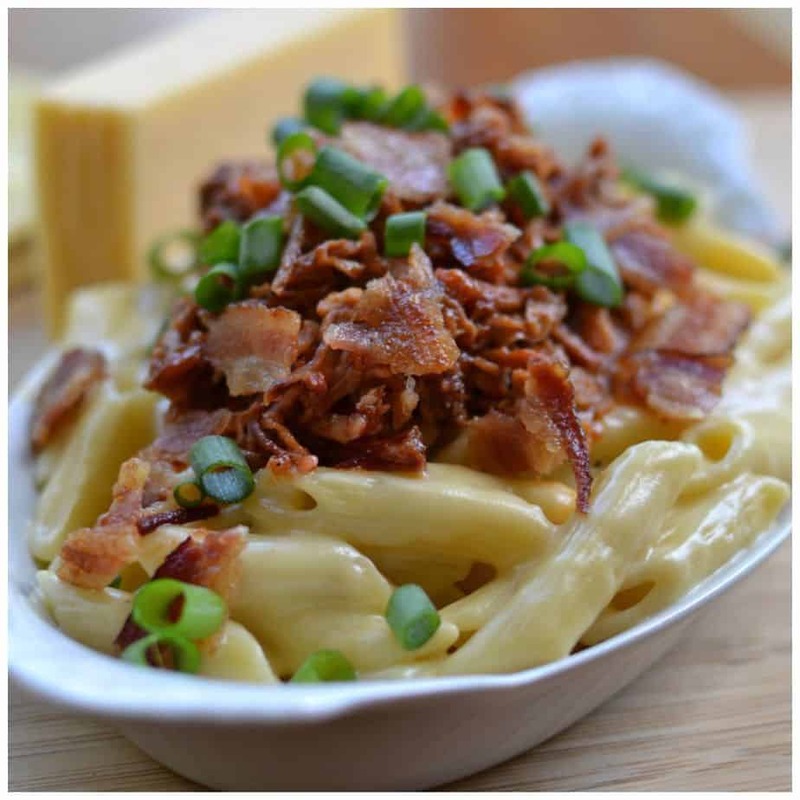 Bacon Asparagus Cajun Pasta, Pasta Milano and Bacon Chicken Sausage Macaroni and Cheese are all fabulous. I once had a reader on Facebook tell me to knock it off with the cheese. Now being a blogger you just can’t say the first thing that pops into your mind. You have to turn your filter on and use it. So I politely said (Mom would be proud) “I can’t because I LOVE CHEESE.” Needless to say I think that reader moved on but I will never move on from my love of cheese. So if you are hankering for a terrific country style comfort meal I got your ticket right here. In large saucepan over low heat melt butter, whisk in flour and cook for 90 seconds whisking continuously. Slowly whisk in milk and continue cooking over low heat whisking very frequently until slightly thickened; approximately 2-3 minutes. Whisk in cheese until completely melted. Add pasta to pan, cover, turn off and remove from heat. In bowl combine pork, barbecue sauce and chili paste and heat in microwave at reduced power if cold. 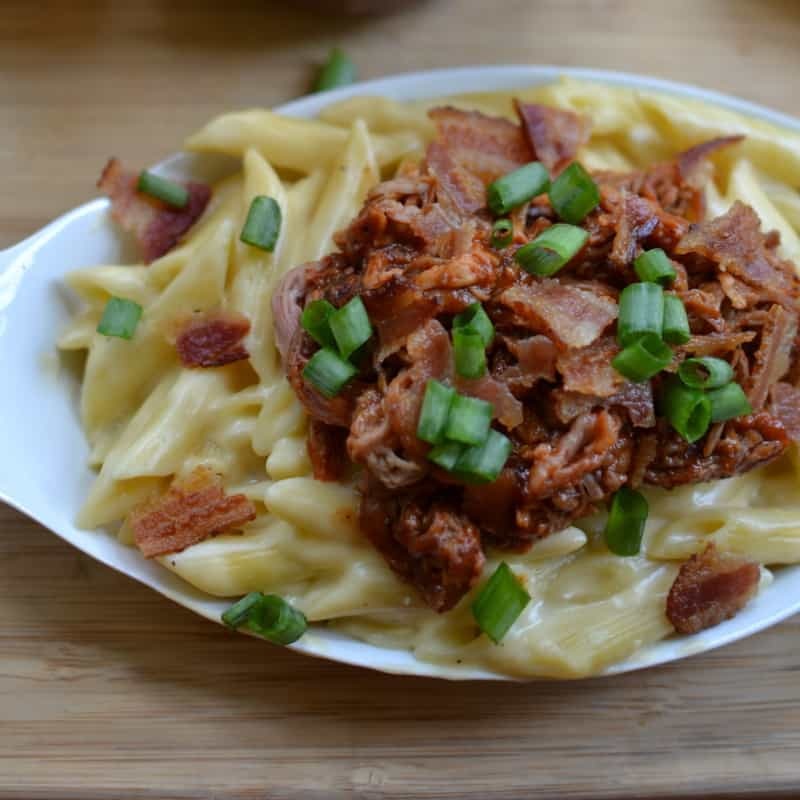 Divide mac n cheese in bowls, top with equally divided portions of barbecue pulled pork, bacon and green onions. Serve immediately. 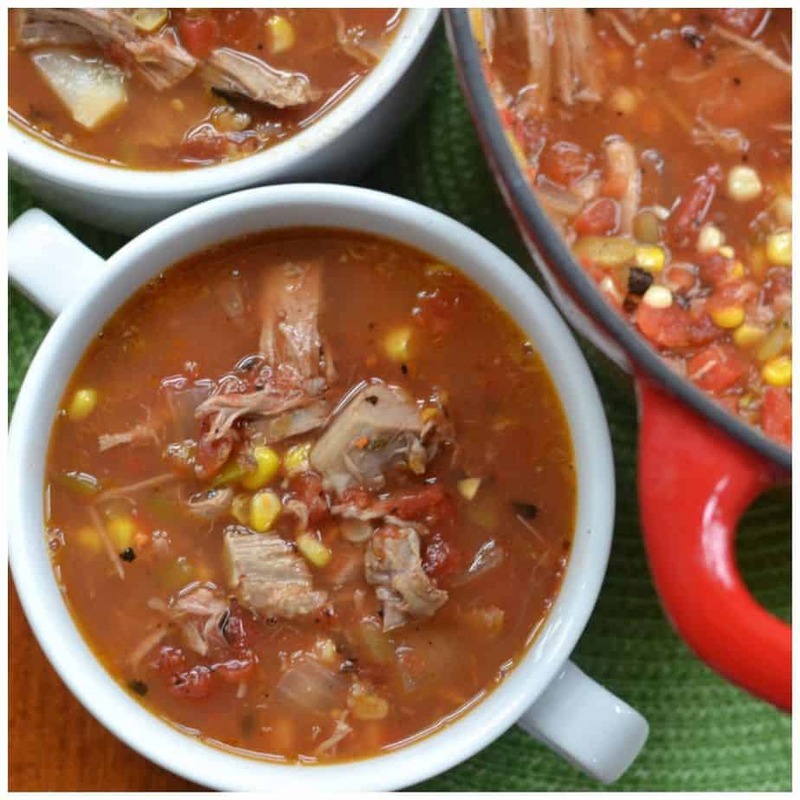 Other pork recipes you will love! 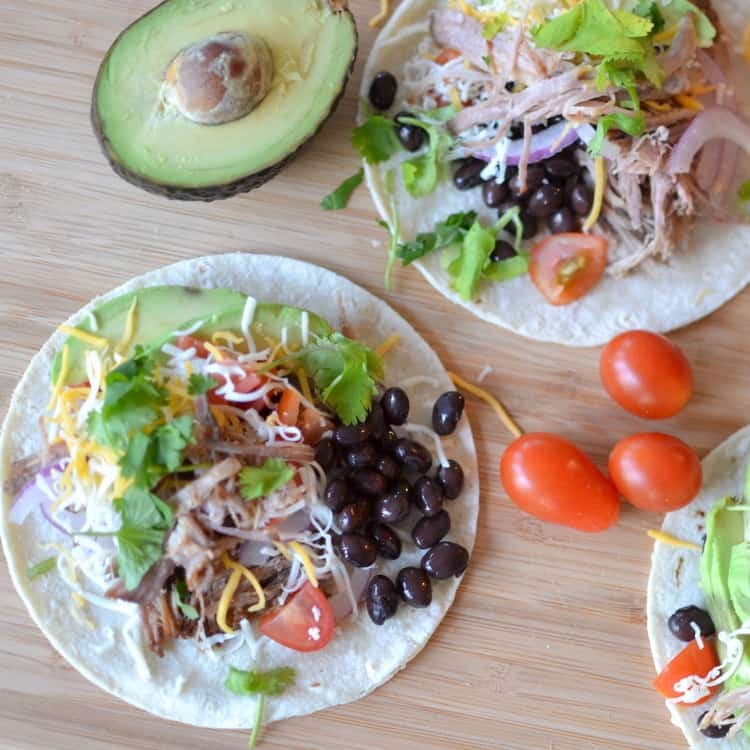 I discovered you on Pinterest and have tried a number of your recipes. . . All of them hits! I can’t wait to try this one. Thanks so much! I am so glad that you liked them!! I’m curious what the American cheese does in this recipe. 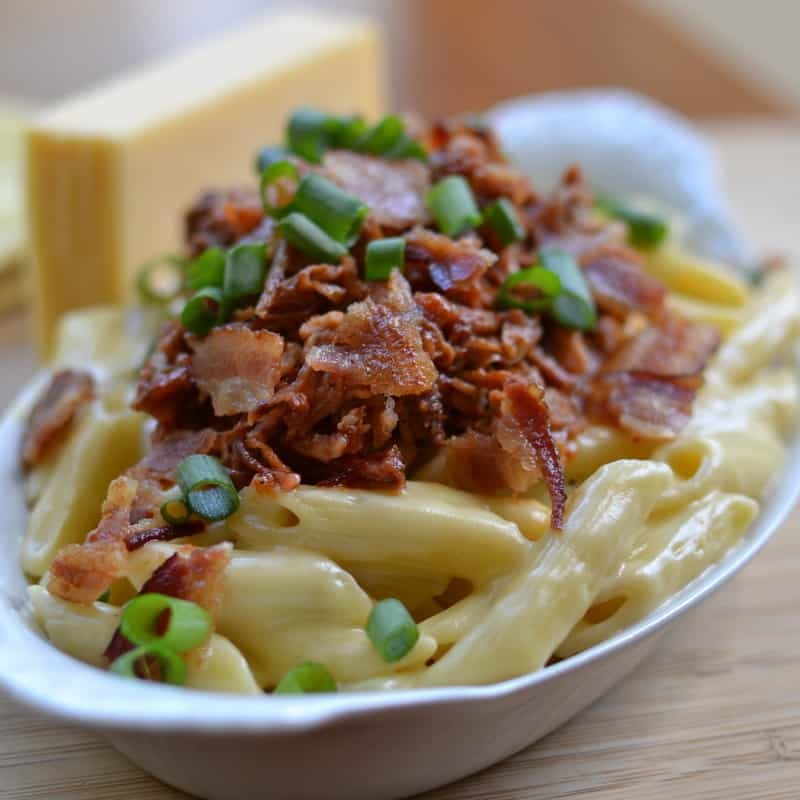 Most other Gouda Mac recipes only call for Gouda. Is the flavor profile enhanced? Is it more creamy? Just a little creamier but feel free to try it with just Gouda. Let us know how it turns out. How many does this serve? We are doing a progressive dinner at our church…traveling from house to house for fellowship and a taste of yummy food. Thought this would be a hit. Trying to figure out how much to make- or if the recipe needs doubled. I would say four at the most and that might be on the light side but if are moving from house to house and everyone has a treat than that would work out well. Sounds like fun. I hope you have a great time.